Bikes are ruling the Indian automobile sector since more than 50 years. In 1955, the Indian government needed sturdy and reliable motorcycles for its Army and police to patrol the rugged border highways. The first batch of 350cc Bullet were received from the Royal Enfield Company of UK and assembled at Chennai. Since then, bikes have been flourishing in India in the segment of two-wheelers. India is the manufacturer of some of the best bikes in the world. Hero Honda, TVS Motor, Kinetic Motor, LML India are some of renowned bike manufacturers in India. Ever year, a series of latest bike launch keep the sector buzzing. 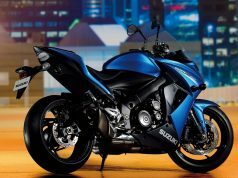 Bajaj Pulsar 135 LS, Kawasaki Ninja and Honda Unicorn Dazzler are some of the popular models of the past. This is one of the most sporty looking bike with top speed of 110 + and mileage of 50-60 Km per liter. Powered by the 150 CC engine, it has got the front Disc and read drum breaks. Fazer has the “140/60-17” size rear radial tyre with a 60% aspect ratio that contributes to better grip and handling stability. The bike is from the Fazer series known for their sports touring and great looks with the triple macho design concept. It has the beautifully contoured color – coordinated aerodynamic cowling to keep off the wind blast. Bajaj Avenger 220 DTS-i gives you a different cruiser bike experience. This bike is exclusively designed to appeal to the young genre. Priced 69,000, the powerful engine of this bike develops the maximum torque of 17.5 Nm @ 7000 RPM and maximum output of 19.03 PS @ 8400 RPM. The weight of this bike is 154.5 Kgs and the wheelbase & ground clearance is 1475 mm & 169 mm respectively. Honda Unicorn Dazzler is one of the latest bikes from Honda Motorcycle & Scooter. Priced Rs. 62,900, the CB Unicorn dazzler comes with five speed transmission, 17 inch alloy wheels, digital instrumentation and rear disc brake. The bike is Bharat Stage III emission compliant. Available in four colors, Unicorn Dazzler have dual Disc brakes in 150cc bikes in India. 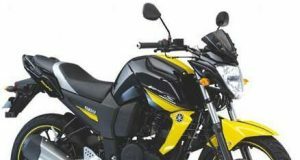 Bajaj Pulsar is one of the successful bikes of Bajaj and one of the top bikes in India. It has 4 stroke, 220 cc, Digital twin spark ignition engine which is the most powerful engine of its class. It offers highest output and good torque. The price of the bike is Rs. 80,760 with top speed 144 kmph. 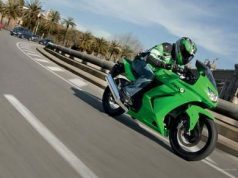 Kawasaki Ninja 250 is powered by a 49cc liquid cooled, parallel twin, DOHC petrol engine. The top speed of this bike is 176 kmph and it can touch the 0-60 kmph mark in just 3.1 seconds and 0-100 kmph in just 5.75 seconds making it one of the top bikes in India. Available in Rs.269000, the length, height and width of the bike are 2085mm, 715 mm and 1115 mm respectively. This is one of the hefty bikes in this series. 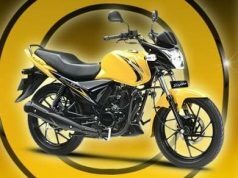 New CBZ Xtreme has all the Hero Honda hallmarks – engine refinement, slick-shifting smooth gearbox, top-of-the-class vibration isolation, low engine noise and quality components. The 149.2cc air-cooled single cylinder engine has been left untouched and still produces 14.4 PS of power and 12.80Nm of torque. However it has made few feature related change such as reshaped fuel tank design, incorporated new alloy wheels with 5 pairs of spokes, new LED tail lamp, rear disc, new exhaust heat shield, step seats, undercowl for the engine and clip Ons. 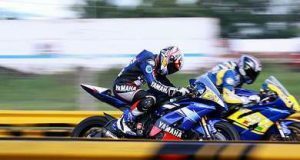 Yamaha R15 comes under 150cc segment. The top speed of this bike is 145kmh with fuel injection system and Deltabox frame. It carries the looks of the R series bikes launched by Yahama worldwide. It looks quite close to mini R1. Currently priced at Rs 97,000, the on road price may go up to Rs 1,11,500 depending upon accessories one opt with this bike. Karizma ZMR is loaded with 4-stroke, oil cooled, single cylinder OHC, PGM-FI 223 cc engine. The maximum speed of this bike is 126 kmph with excellent acceleration 0-60 kmph mark in just 3.7 seconds. This is also one of the top end bikes available in five attractive colours i.e. Moon Yellow, Pearl White, Vibrant Blue, Panther Black and Sports Red. The new Royal Enfield Thunderbird Twinspark offers an unmatched cruising experience for the Enfield enthusiasts. With an integrated gearbox transmission losses are reduced and the engine develops 20BHP of power and 28Nm of torque. 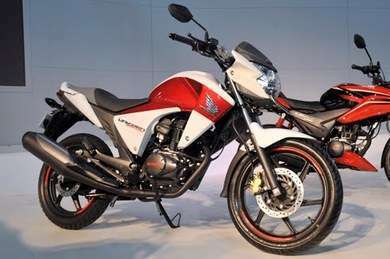 It has symmetrical Twin Spark Plugs for better combustion leading to better power and fuel efficiency, thus making it another popular and top bike in India. With attractive cruiser styling, gas filled shock absorbers, lots of chrome and disc brakes, Royal Enfield Thunderbird has been upgraded to a Digital Transistor Controlled Ignition System. This is one of the most powerful bikes from TVS in the Indian market. It is loaded with 177.4cc engine which powers the bike to the top speed of 125kph. It also gives fuel economy of 40-50 Km depending upon the driving conditions. It’s a five gear bike with dual disc breaks and priced at Rs. 76,500. Hi,I log on to your blog named “Top 10 Bikes in India” daily.Your writing style is awesome, keep doing what you’re doing! And you can look our website about love spell.